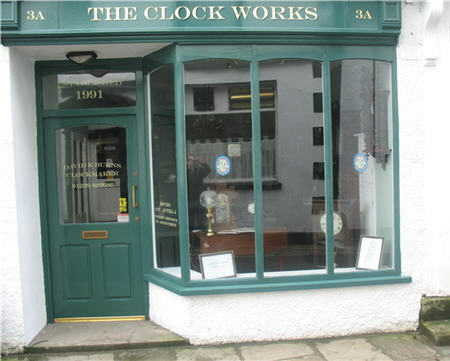 The Clock Works was established in Fountain Street Ulverston in 1991. Owner David Burns has held a life long interest in all practical and historical aspects of Horology, an associate member of the BHI and elected member of the British Clock and watch makers guild. 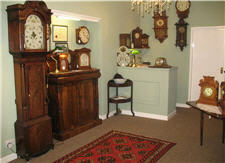 High quality restoration and conservation work is undertaken on all types of antique clocks from a carriage clock to public and church clocks with particular specialisation being longcase clocks. Work is undertaken in David’s local workshop, including wheel cutting and manufacturing of missing parts. All work is fully guaranteed and undertaken to the highest standard. Sympathetic dial restoration and conservation undertaken for both painted and brass dials including resilvering. 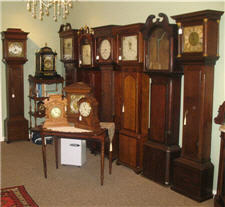 Good selection of restored antique clocks always for sale.